Daly Credit Corporation (DCC) specialises in consumer credit debt collection and debt recovery, offering its clients end to end debt recovery solutions from prelegal call centre collections to legal action. Through its associate attorneys and national network of correspondent attorneys, DCC offers its corporate clients a cost effective debt recovery solution and high level of management information reporting. DCC subscribes to the LPO or legal process outsourcing model where expensive professional legal costs are only incurred when necessary and where the routine process work is charged at inexpensive non-professional rates. The business occupies a multi-storey building in Mount Edgecombe, employs over 550 people and represents the majority of the country's major credit providers in the banking and retail sectors. DCC relocated its business operations to these new premises in 2017 and now occupies over 5000m2 with the jewel in its crown being a 350 seat state-of-the-art contact centre. According to DCC CEO Andy McNabb, the move was motivated by the vision to grow the company's collections capability through formal skills training for DCC and other third party businesses. He is optimistic that this initiative will continue to enable DCC to grow its capabilities for the benefit of its clients which will in turn provide employment opportunities to people in the local community. Bill Daly decided to leave their legal practices to specialise in consumer credit debt collections which had been experiencing exponential growth since 1994, in conjunction with the growth in credit lending. DCC experienced strong growth in those early years but following the introduction of the National Credit Act in 2007, the nature of the collections market changed. Today, it is a highly regulated industry operating in an economy where credit is accessible to those who are employed but who often do not have any financial education. Indeed, recent data from the National Credit Regulator (NCR) shows that there were 25m creditactive consumers who owed R1,7tr (March 2017). 40% of these were "impaired records" - a debtor who is three or more months in arrears on an account - which translates to two out of every five creditactive consumers. These records are handed over for collection to companies such as DCC. credit cards and store accounts. 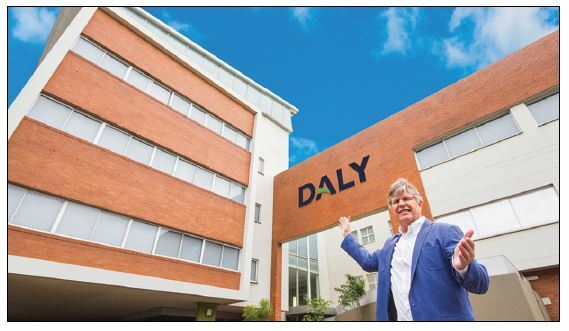 While clients judge success on collections performance, McNabb says the business has never forgotten that Daly's business is people. "Using "know your customer" and "treating customers fairly" legislation as a departure point, our agents try to help people make affordable payment plans to pay off their debt," McNabb explains. "We put people on the road to debt rehabilitation and give them the opportunity to turn their lives around." 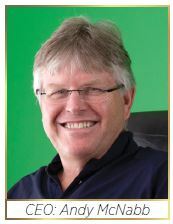 McNabb believes this defines the "Daly Way" - the company's culture and approach that is deeply rooted in the business. "This speaks directly to our vision which is to be the most innovative, intelligent and ethical consumer debt company in Africa. This has guided our business for the past 18 years and will continue to be our North Star for the next 18 years". It also defines the nature of the people who Daly employs. It is a special person who can balance company performance with empathy and understanding - and this is the reason DCC values each of its agents and ensures they get the right training. "Our industry is people dependent and through our total employee value offering, we strive to retain our people and keep them happy," says McNabb. "Each of our agents has a strong support structure through their team managers and coaches - they can call on additional expertise when it is needed and this gives them prospects for growth too." The agents are, however, only as strong as the infrastructure they use. DCC continues to invest in the latest technology and through its IT partner SafriCloud, DCC has a state-of-the-art cloud contact centre. With all the advantages this service offers coupled with a predictive dialler system, data protection, a fully integrated collections system and extensive investment into BI analytics, DCC ensures that its agents can leverage off the world's best technology to be safe, effective and efficient. DCC is registered as a Debt Collector under the Debt Collectors Act in 2013 and an international member of the Credit Services Association (CSA). Associates: Attorneys RL Daly Inc., Morris Fuller Williams Inc., Daly Morris Fuller Inc. and national network of over 160 correspondent attorneys. Our mission is to assist consumers to be credit worthy. To be recognised as the most innovative, intelligent and ethical consumer debt company in Africa.